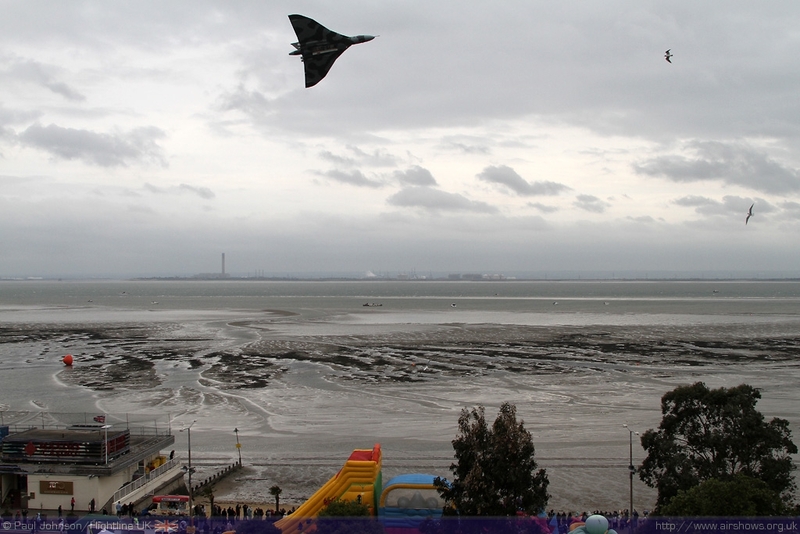 The first of the big seafront airshows of the year is at Southend. 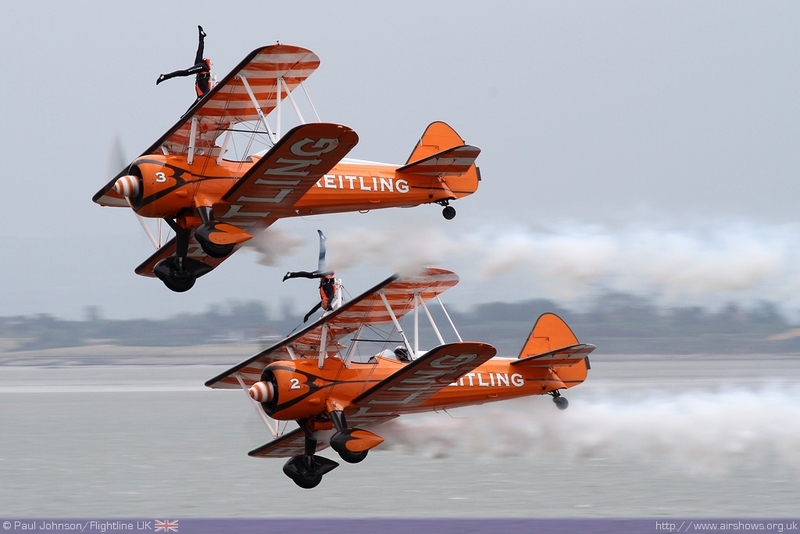 Now dubbed the Southend Air Festival, this airshow is the longest running seafront display now in its 26th year. 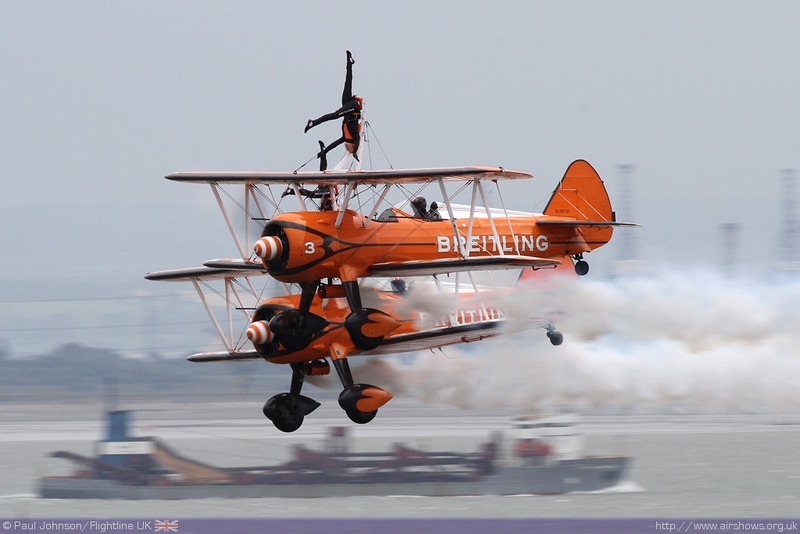 The show is one of the highlights of Southend-on-Sea's tourist season attracting in the region of 300,000 people to the resort for two days of flying displays with everything from wing-walking to modern fast jets. 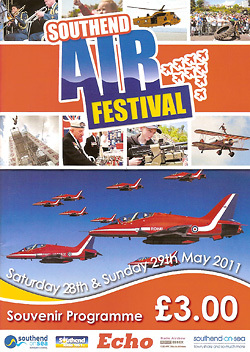 Such shows are very popular with the military attracting a range of flying and ground shows along the promenade. 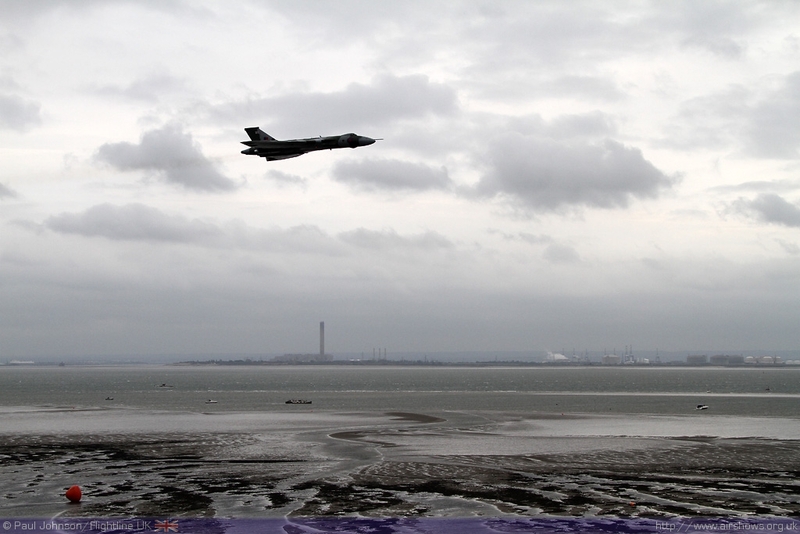 Paul Johnson/Flightline UK reports from "sunny" Southend. 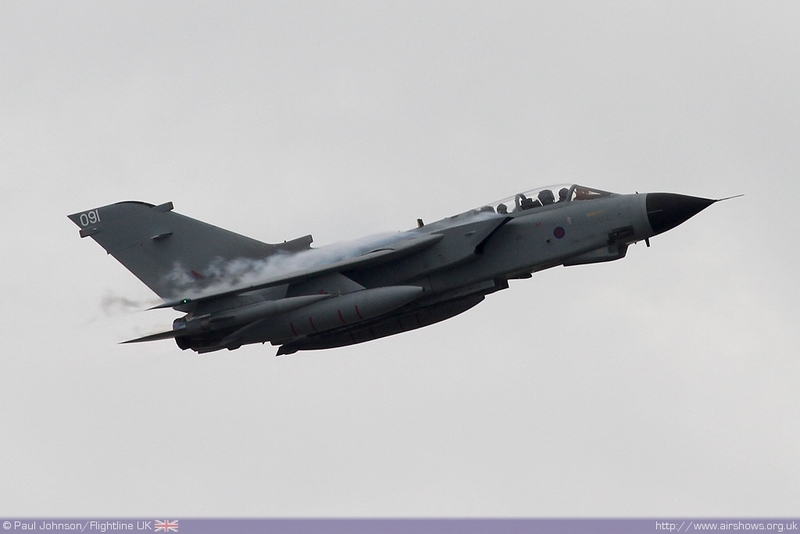 All photography copyright of Paul Johnson/Flightline UK and Mike Rivett/Fotomotion. 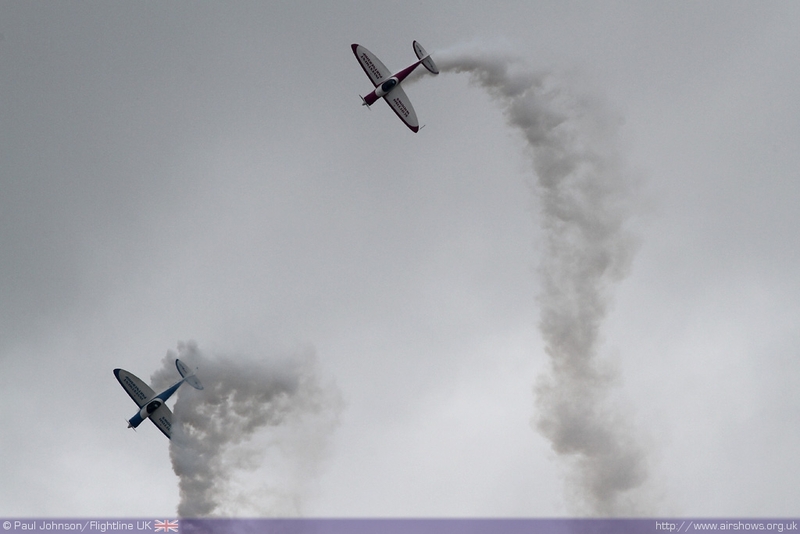 Understandably, it's a difficult year for seaside airshows. With so much of their budget dependant on council funding it is something of a miracle that all of the shows have continued into 2011. 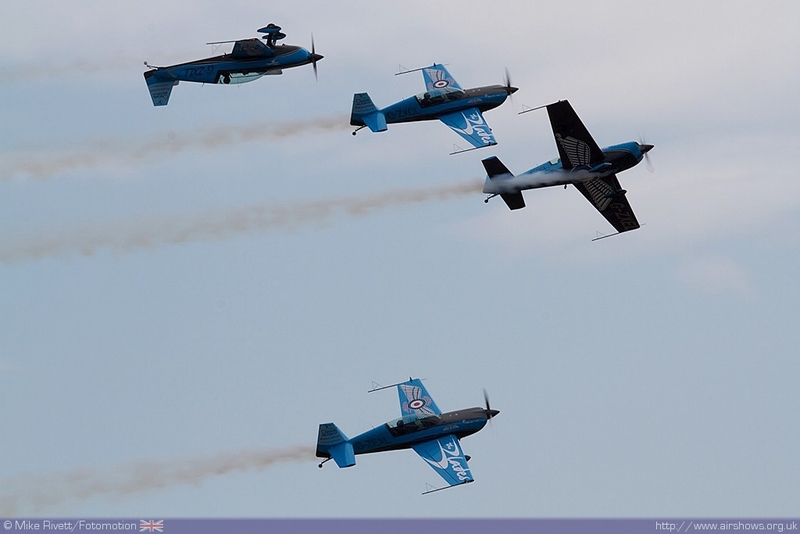 There are great benefits for local councils to host seaside airshows; they are a superb showcase for the resort and valuable source of income for the local tourist trade and associated businesses. Southend Air Festival has continued despite having no major sponsor for the last few years, but for 2011 the council did change the dates of the show to Saturday and Sunday to help reduce the policing costs of the event which are higher when it is held on a Bank Holiday Monday. 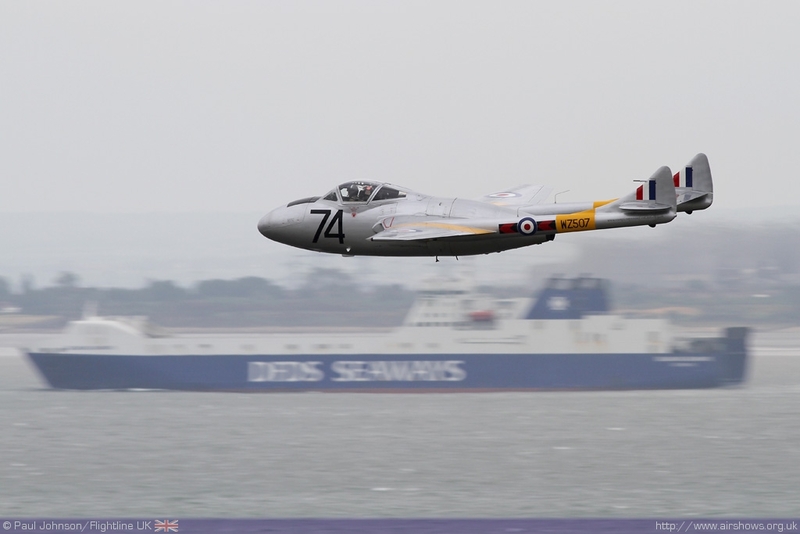 Despite a slightly smaller flying display compared with those of a few years ago, Southend Air Festival remains a large event and certainly an excellent family day out at the seaside. The seafront is transformed into a vibrant and colourful showground with everything from radio road-shows to large displays from the military which despite operations in Libya and Afghanistan as well as defence cuts continues to support the show well. While the weather for the show certainly was not bad, it was a windy weekend that did cause a few problems. The Battle of Britain Memorial Flight was stuck at RAF Coningsby with the crosswinds off-limits and the wind was just too much for the RAF Falcons to perform in. 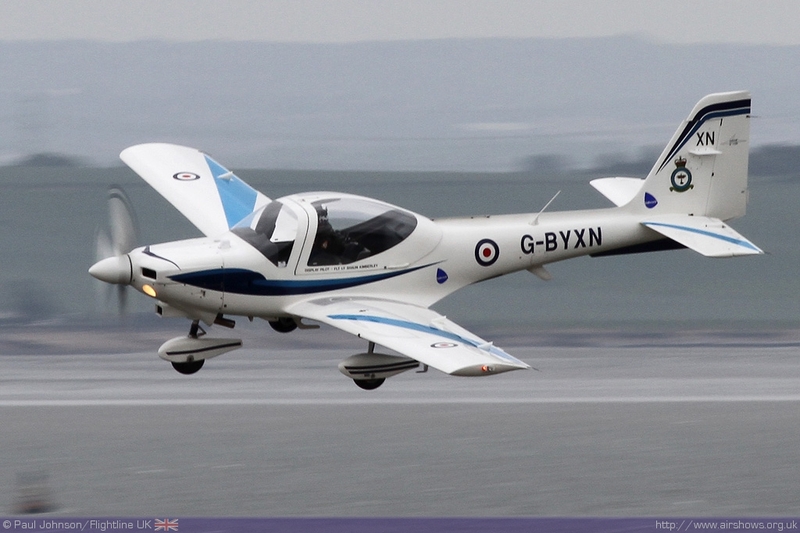 However, both days enjoyed full flying programmes lasting just under three hours each day. 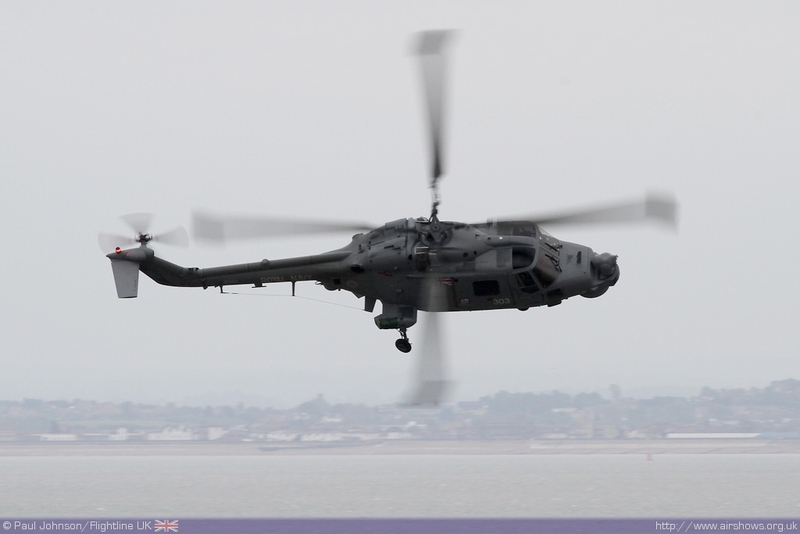 The strong military presence was reflected in the air with superb support from the Royal Air Force and Royal Navy. 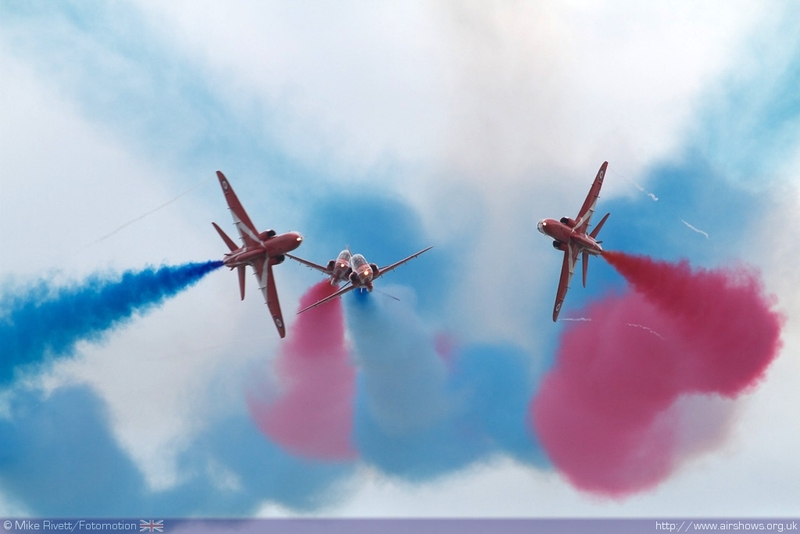 The Red Arrows performed in the UK for the first time this year on the Sunday of the event with a master-class of formation aerobatics and opposition flying. They were also joined by the Blades display team who are all ex Red Arrows and give a very sharp formation and solo aerobatic display in the awesome Extra 300LP. 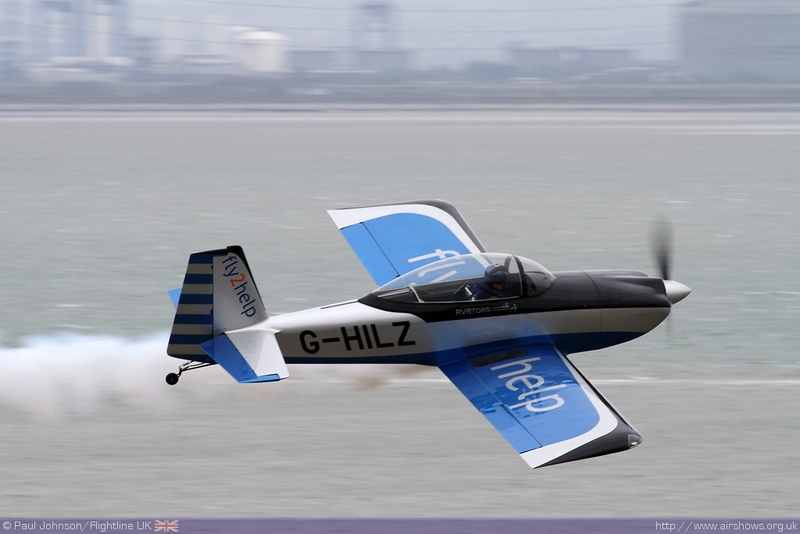 The Blades have had an interesting start to the display season undertaking a relatively long "deployment" to Gibraltar for flying displays and corporate flying before moving on to Ireland before backtracking to Southend! 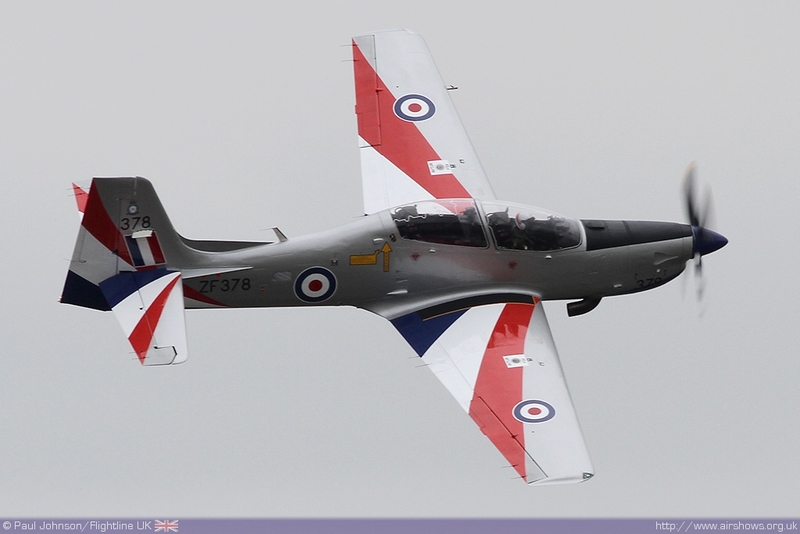 The Royal Air Force supported the show with all its solo displays of the moment, namely the Tutor flown by Flt Lt Sean Kimberley, the Tucano flown by Flt Lt Dan Hayes and the Hawk flown by Flt Lt Jules Fleming. 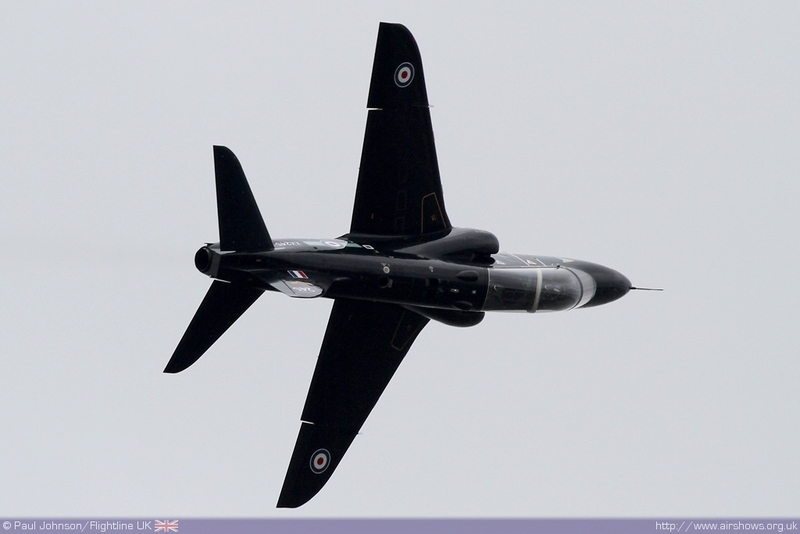 On the Sunday, the Hawk team finally flew their specially painted jet for the first time in public with its Royal Air Forces Association colours. 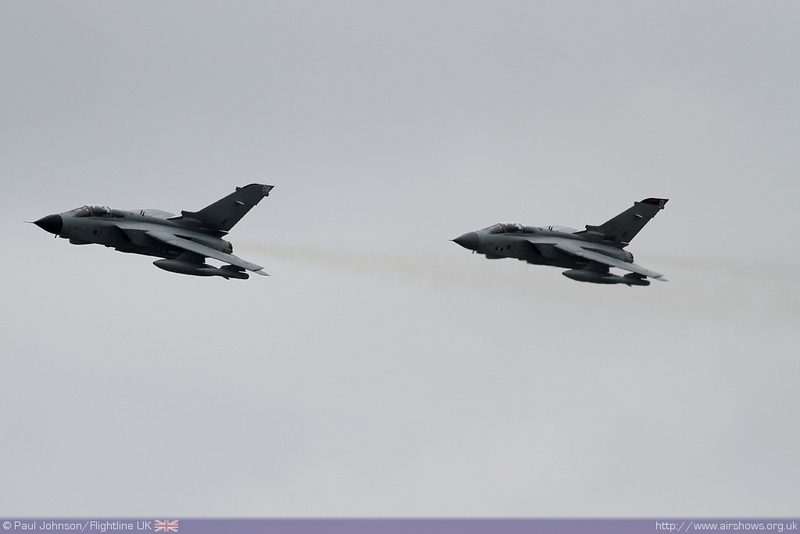 Also making their first appearance of the year were the pair of Tornado GR4s from XV Squadron which were a very welcome late additions to the flying display. 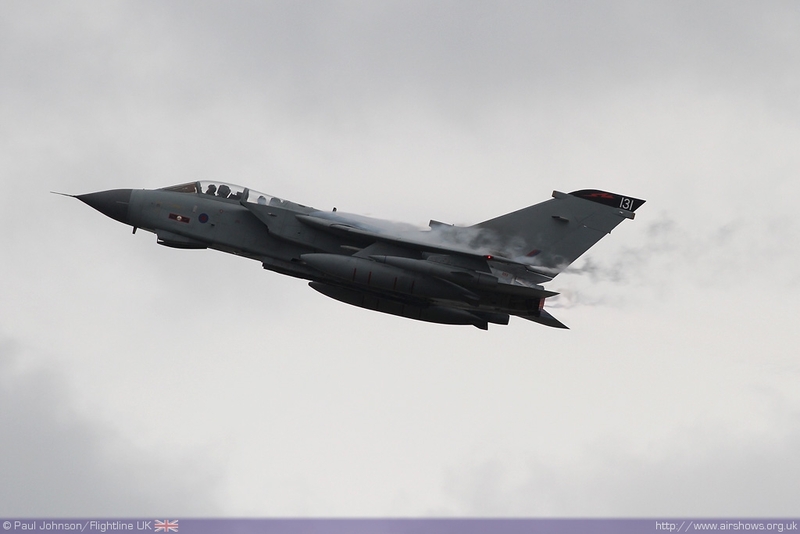 The Tornadoes flew a role demonstration of the close support operations they fly regularly in support of ground troops in Afghanistan providing some much needed fast jet action to the display circuit. 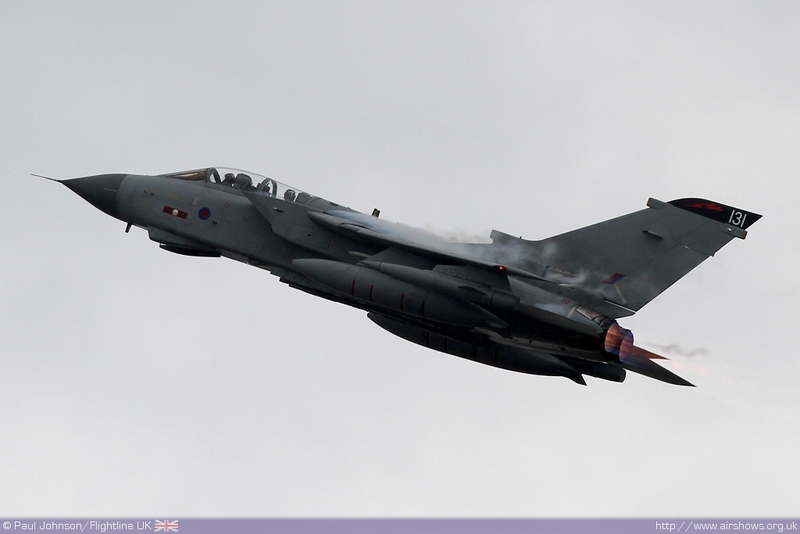 Even without the pyrotechnic support, the GR4s were an impressive sight manoeuvring around the display box over the Thames. 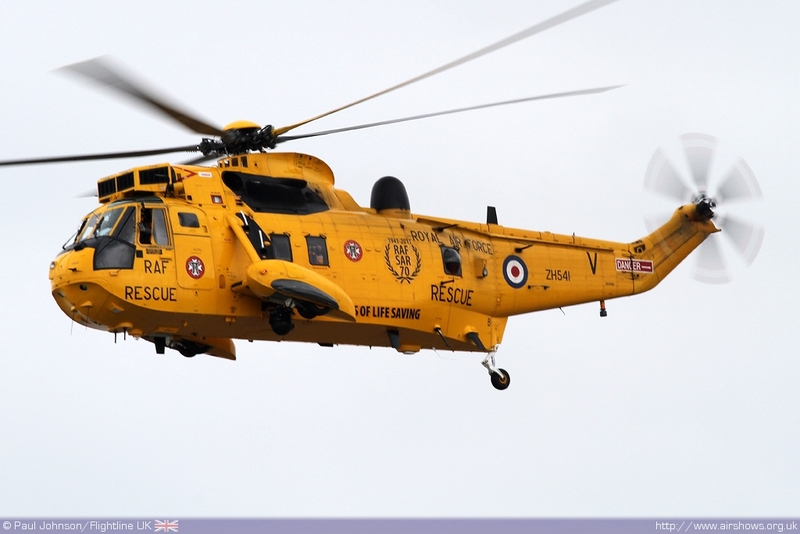 Opening the show was a Westland Sea King HAR3 from B flight, 22 Squadron at RAF Wattisham. 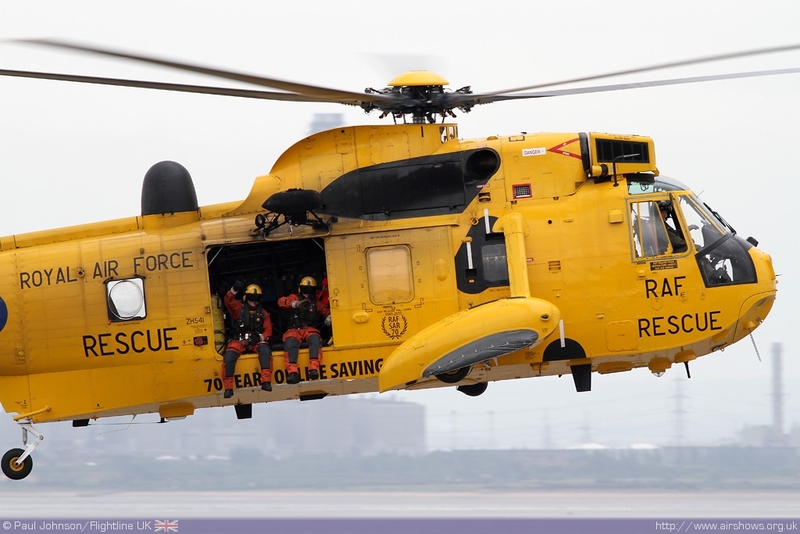 2011 sees the 70th anniversary of Royal Air Force Search and Rescue and they have added special markings to some of the Sea Kings around the UK to celebrate this important anniversary. At Southend, the helicopter performed a winching demonstration with the local inshore lifeboat the RNLI hovercraft that patrols the muddy shallow waters of the Thames Estuary. 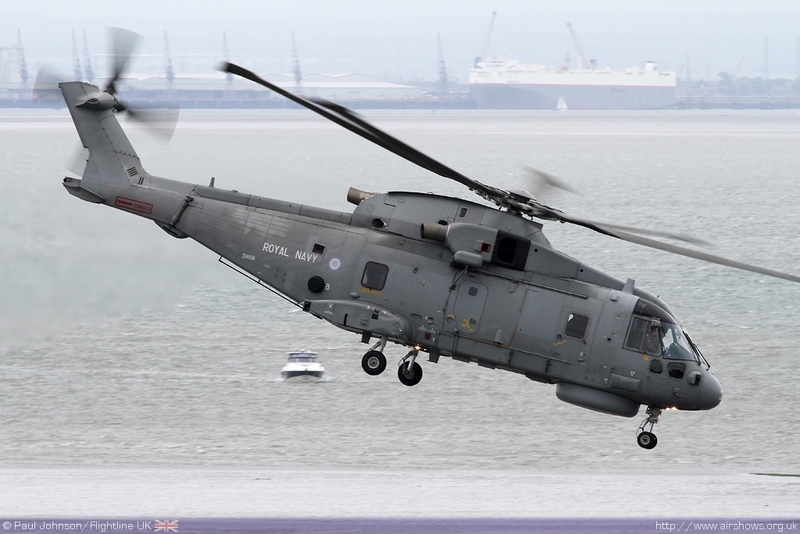 There was further military rotary support from the Royal Navy. 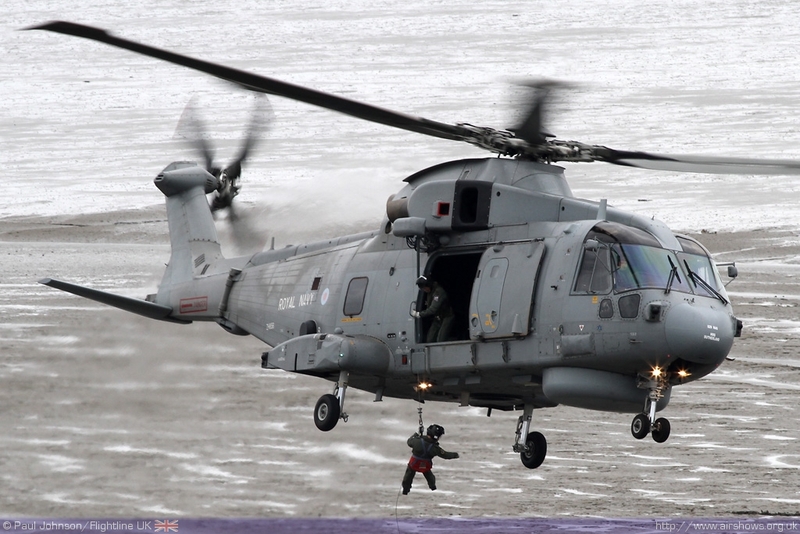 815 Naval Air Squadron provided it's solo Westland Lynx HMA8 display from RNAS Yeovilton highlighting the impressive agility of the helicopter of choice for small ship operations. 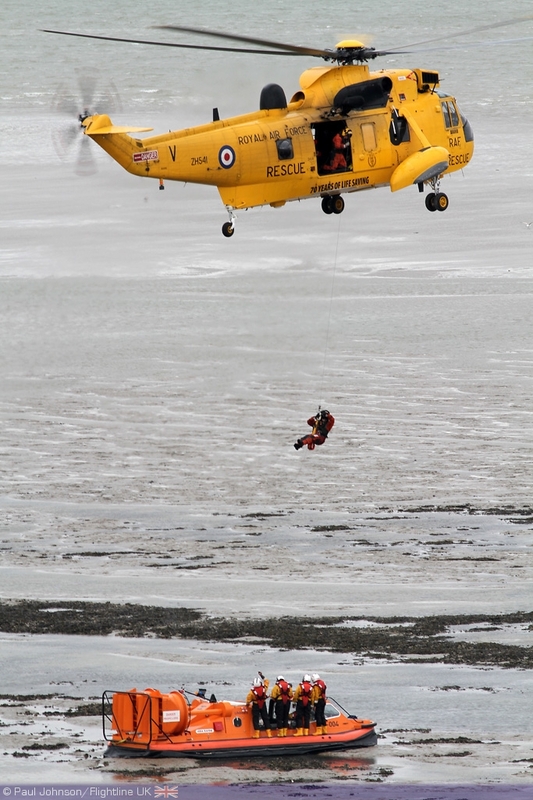 The Westland Merlin HM1 also gave a superb account of its self, also demonstrating one of its secondary roles in Search and Rescue over the beach. With the loss of the Battle of Britain Memorial Flight to the high winds, it was left to North Weald based Peter Teichman to provide the warbird displays with his smooth and polished solo routines. 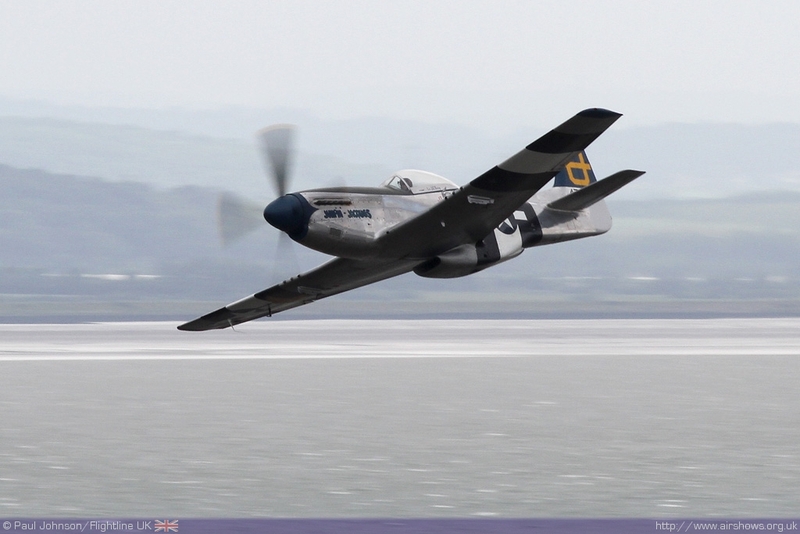 On Saturday he displayed his P-51D Mustang while Sunday saw his stunning Spitfire PRXI. Also flying from North Weald was the very rare Vampire T11 from the Vampire Preservation Trust representing the early jets with a well presented routine of flypasts and gentle rolls. 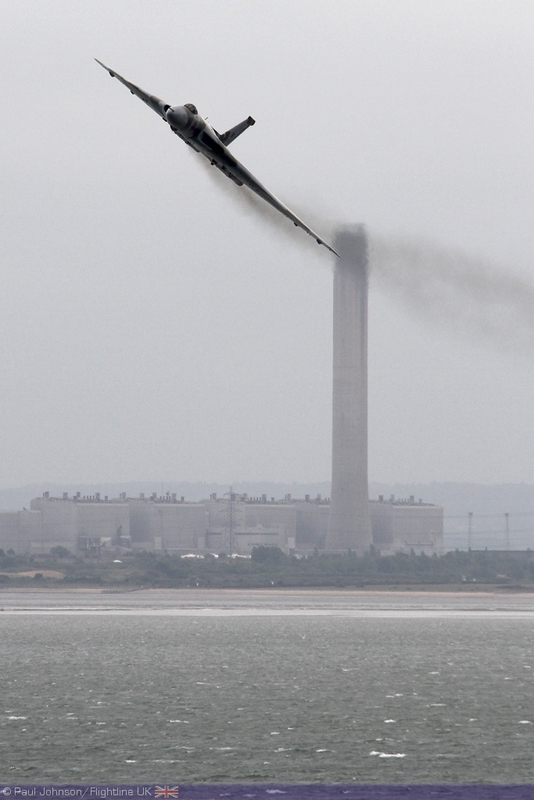 Seaside airshows always need some added colour and smoke. 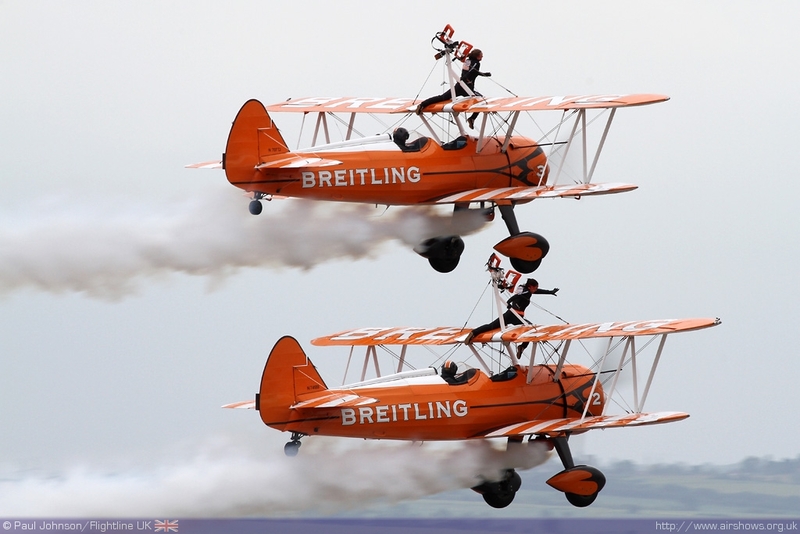 Firm favourites at Southend are the Breitling Wingwalkers who regularly provide barnstorming thrills at the show with their intrepid girls on the wing. They were joined by two newcomers to the event. 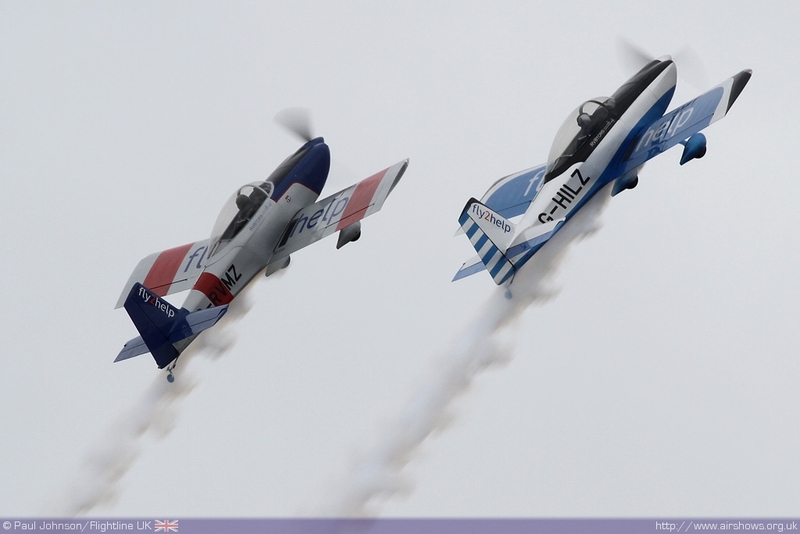 The RV8tors, flying in support of Fly2Help, provide an excellent display showing off the fast and very aerobatic qualities of the Vans RV-8 home-builts with some superb formation flying. 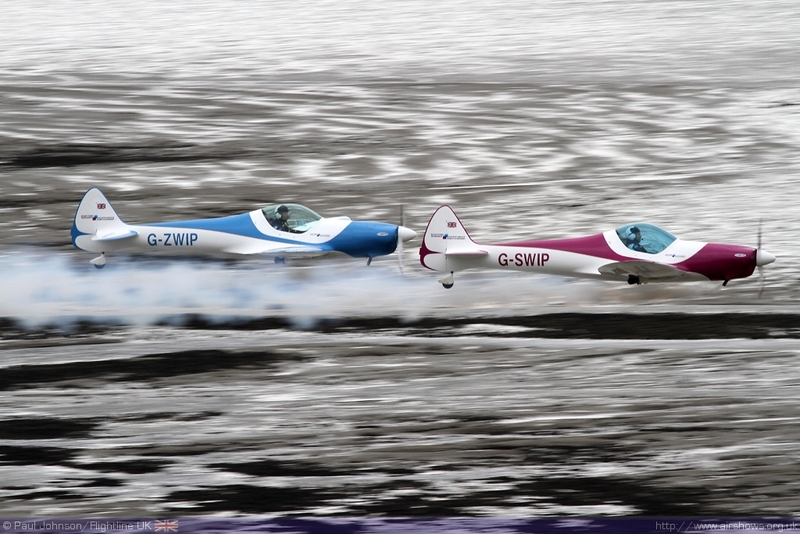 The SWIP Team in contrast showed off some excellent synchronised aerobatics in the attractive pair of Silence Twisters. 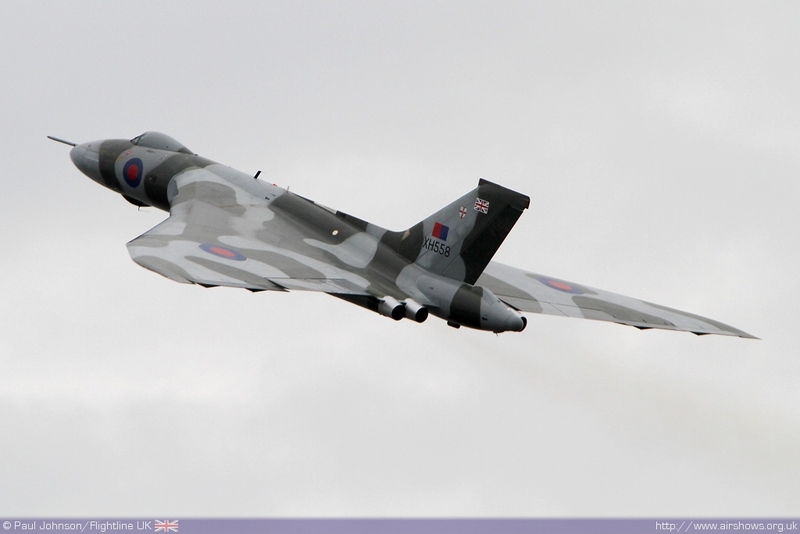 Saturday's display was closed by the Avro Vulcan B2 XH558 which gave a superb and very noisy display to end the day's flying. 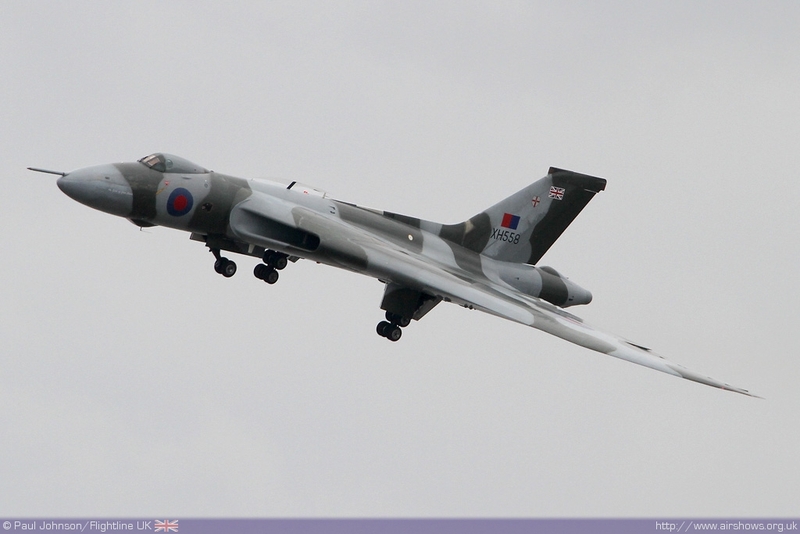 Kev Rumens gave an excellent account of the aircraft with some very steep wingovers and tight turns for the appreciative crowd and ending what was a great days flying over Southend. However, it was noticeable on the Saturday that the crowd numbers were slightly down, perhaps due to the grey cold conditions, but perhaps also to the change of dates and lack of Red Arrows - It was certainly much easier than usual to get away from the town!